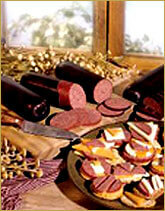 To Serve Our Customers by meeting their needs for quality meat products. To Adhere to our corporate standards of quality, integrity and service. To enhance our reputation and continue the pursuit of profitable growth. In the heart of Wisconsin, where Abbyland products are made, sausage making is a folk craft still practiced by descendants of the German and Eastern European immigrants who settled the area. 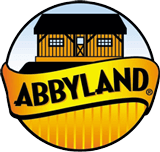 Abbyland's full line of specialty sausages are still made in that tradition - blending old-world skill and pride with modern food processing technology. Abbyland sausages are still made from the freshest select cuts of meat and the finest hand-selected spices. They're slow cured and naturally smoked and cooked with the same old-fashioned art and expertise that won blue ribbons at the country fair 100 years ago; then packaged and made ready for shipment in one of the industry's newest, most modern meat processing plants. 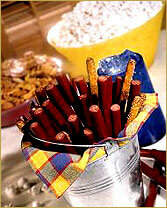 The result is sausage that's a natural choice for today's living: good old-fashioned flavor, convenient and nutritious. We stand behind our Abbyland products with pride.